Following endorsement in late June 2016, the Central Coast Local Food Security Strategy is being implemented. On behalf of the Project Team, the Council are delighted to share this project highlight. 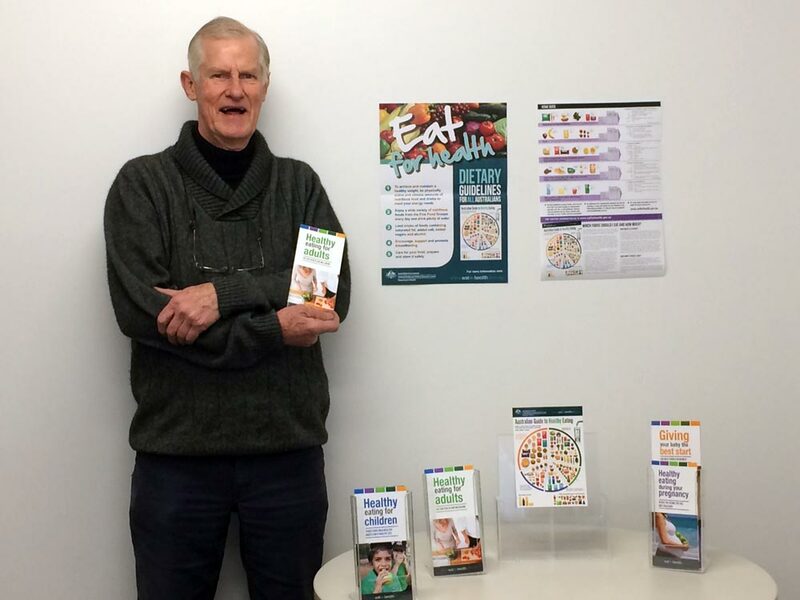 As an action to improve healthy eating in our community and to help people know the nutritional value of foods, over 1,800 Healthy Eating brochures for adults, children, infants and women during pregnancy have been distributed to over 22 health professionals (such as chemists and doctors surgeries), as well as schools and community venues such as the Ulverstone Neighbourhood House in Central Coast. Congratulations and thanks to Ian Nettleton of the Central Coast Community Shed who significantly contributed to this outcome. Mr Nettleton said, “in many cases I think we’ve got to have faith that this material is sowing seeds that may take months or (in the case of school children) even years, to come to fruition… that when young people leave home and are looking after themselves and setting up their own homes, they will know that there are recommended eating choices that they can now put into practice”. A public forum, ‘Making the Local Food Conversation Bigger: Lessons from the USA’, was held in Ulverstone on Wednesday, 10 August 2016 featuring guest speaker Anthony Flaccavento. 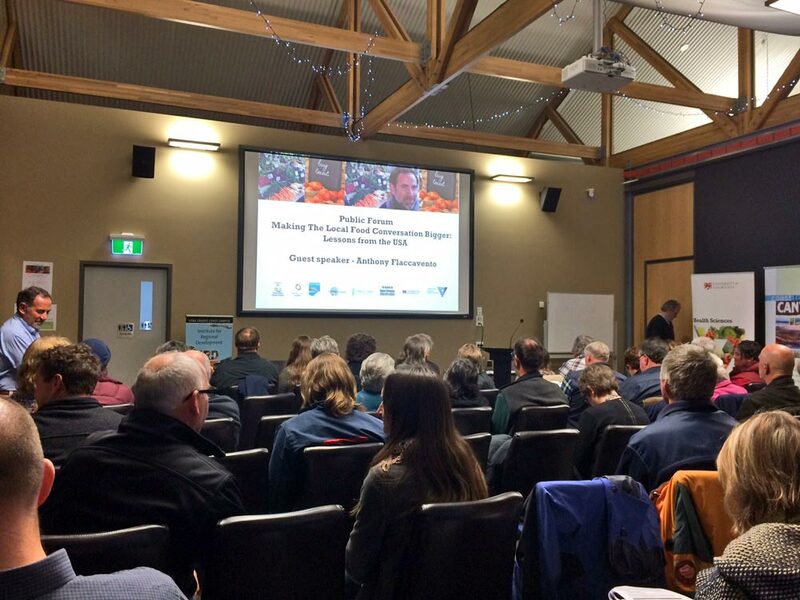 Anthony attended the Bendigo Food Hub Conference between 8 and 9 August 2016, flying directly from Bendigo to attend his only public speaking event in Tasmania. Anthony has been working on community, environmental and economic development in Central Appalachia for the past 27 years. He runs a small farm near Abingdon, Virginia selling produce at the highly successful Abingdon Farmers’ Market that he established. Around 60 members of the public attended the evening public forum, where the Local Food Security Strategy was showcased. 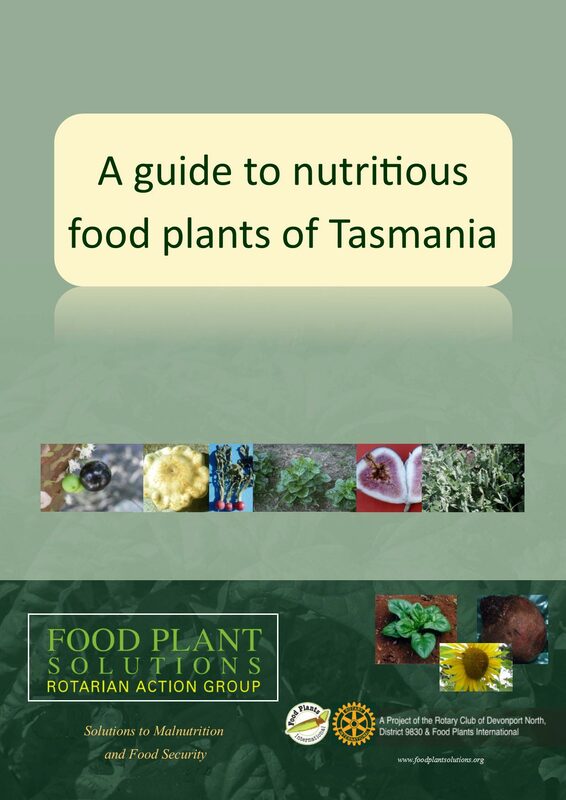 A Guide to Nutritious Plants of Tasmania Launched! To celebrate the creation of the Food Plant Solutions (FPS) Publication – A guide to Nutritious Food Plants of Tasmania (the Guide), an official launch was held in Ulverstone on Wednesday, 1 March 2017. The Launch was officiated by the Mayor, Jan Bonde. 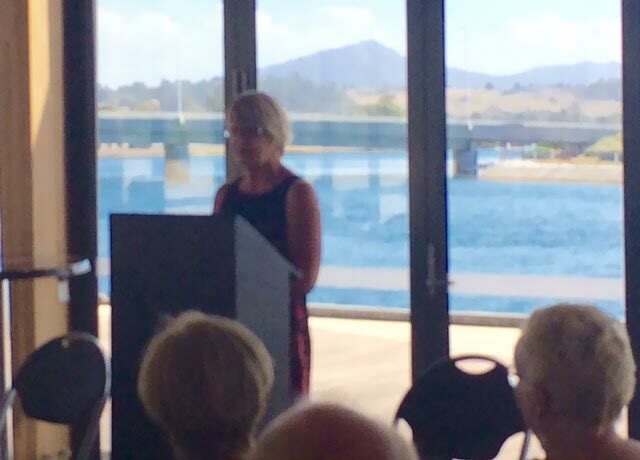 Chair of FPS, Una Hobday explained what FPS does and the important role it can play in improving Tasmania’s health. There are countless gardening books on both ‘common’ and ‘indigenous plants’. Very few, if any of them combine both as well as providing nutritious data. The Guide contains this information, giving those educating the community on the benefits of healthy eating a very valuable tool. The Guide contains information on approximately 40 edible plants from all the major food groups. It also covers how and where to grow the plants, what parts are edible, how to use those parts, nutritional information and a photo to assist with plant identification. The printing of the Guide was made possible by a funding contribution provided by the Council’s Small Community Grants Scheme, which has been reviewed for the 2017-18 Round to include a ‘healthy food’ criteria as an action of the LFSS. As part of the LFSS, the free Guide will be made available to the Central Coast community from the Council’s Administration Centre and the Ulverstone and Penguin Visitor Information Centres so that we can learn about the nutritional value of foods. To learn more click here, or contact FPS direct at, [email protected] or visit their website, www.foodplantssolutions.org. 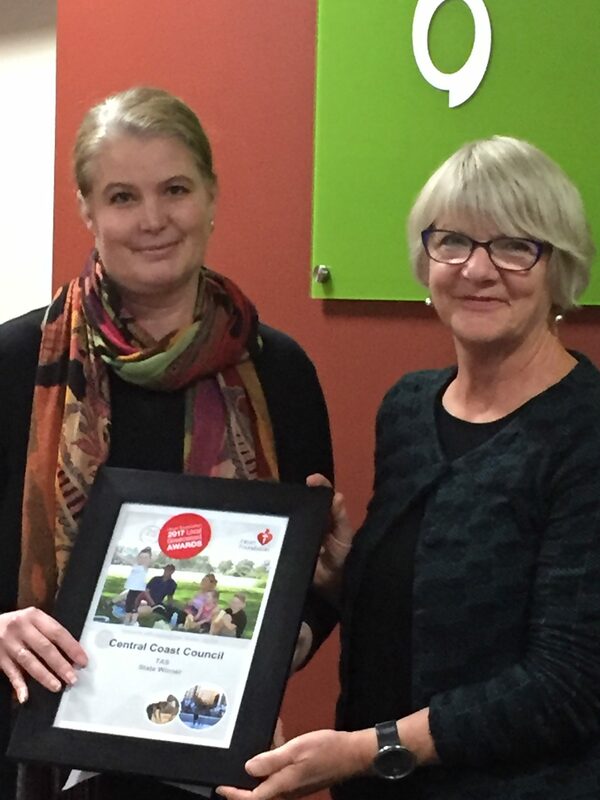 A certificate and a cheque for $2,000 was presented at the September Council Meeting by Ms Gillian Mangan from the Heart Foundation in Tasmania, to recognise the Council being awarded the Tasmanian State Winner in the Heart Foundation’s Local Government Awards for Councils with populations between 10,000 and 50,000 people. Thank you and congratulations to everyone who helped us achieve this wonderful result! The Council has been invited by the Australian Red Cross to lead a FoodREDi program to compliment the great work our community is doing in the local food security area. The Council are also partnering with Ulverstone Neighbourhood House and Housing Choices Tasmania who will deliver the program. FoodREDi programs aim to create an enjoyable experience of cooking and eating together and along the way gain understanding of basic nutrition (Australian Food Guidelines), food safety and how to eat healthily on a limited budget. Over the course of the six-week program to be held in October and November 2017, the food resources in our area will be mapped and participants will learn how to take advantage of them. The program also aims to build connections to help overcome social isolation. Discussions with a significant producer has taken place relating to issues (such as logistics and storage) for utilising ‘second/natures grade’ produce. + Click here to return to the Local Food Security Strategy home page.